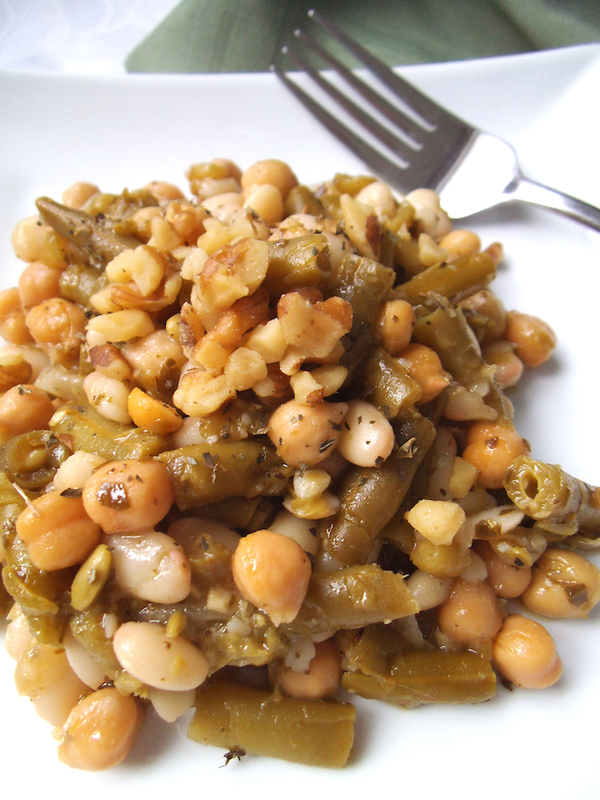 Three Bean Salad is one of the easiest salads ever! It comes together in just minutes. All you need are cooked beans plus a few dressing ingredients swiftly mixed. Voila! Flavourful herbs and filling ingredients create a marvelous side dish or lighter lunch. We enjoyed this salad right away, but the leftover portion was even better on the second day after the rich pesto flavours had infused the beans. My kids gave it their stamp of approval as well! More healthy salad recipes are coming your way this month. I’ll be sharing a new salad recipe every Saturday! Join me here and on Facebook for the latest posts and discussion of what’s on the menu. Whisk together pesto, oil, vinegars and lemon juice in a small bowl. 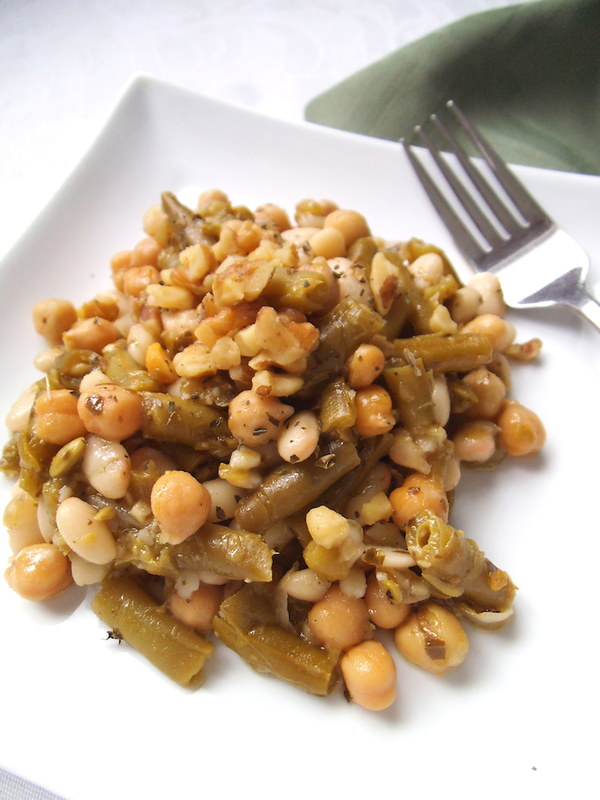 In a larger bowl, combine chickpeas and white beans. Toss with pesto dressing to coat. Season to taste with salt and pepper. Gently mix in green beans. Add more sea salt if desired. Top salad with walnuts and basil (optional). I share recipes here, at Allergy Free Wednesdays, and Savoring Saturdays. This seriously looks so good. Thanks. It goes well on toast or whole wheat crackers too. This looks fabulous! Love how easy it comes together too! Yes, easy options are important these days! Thanks! They’re vegan as long as your pesto is vegan. Some pesto in jars has dairy, so I have often made my own dairy-free pesto. Want to try this one! Go for it! We enjoyed the salad so much that it disappeared quickly!